At Brilliant Web Design we’ll take the hassle away and build you an amazing website that will help to increase your business, grow you list, and we will incorporate social media to make it all so, so easy for you. We’re in the business of building beautiful websites for women in business, including women 40 plus, entrepreneurs, small business owners and for home based businesses. We’ll guide you right through the whole process so it will be easy. Just leave the worry to us. Not only will be build you a website, but we’ll also help with getting traffic to your website using social media. From blogging, Facebook marketing, email marketing, Twitter, and others …. we’ve got the knowledge to guide you through a cost effective method to grow your business. Brilliant Web Design was founded in 2008 by mother & daughter team, Leonie & Natalie Alaimo, and we’re both passionate about helping your business succeed online. 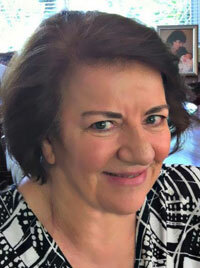 Leonie Alaimo comes from a small business background in which she started and ran many successful businesses including restaurants, motels, manufacturing, retail & printing. She realised early on that the internet was the place to be. She built her first website in the early 1990’s, and has continued to perfect her web design skills. Natalie Alaimo comes from a sales/marketing background, starting in direct sales and then moving into small business marketing. 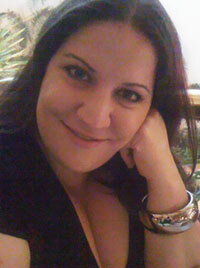 Natalie enjoys creating online marketing strategies for small businesses and helping them grow. She writes for several blogs including: Brilliant Web Design blog, Natalie Alaimo International Blog and Telstra Exchange. Her articles have been published in several business magazines and online. She is passionate about social media and blogging and how they can be used to increase traffic to your website and increase your online visibility. Natalie heads our sister company Natalie Alaimo International which teaches businesses how to successfully use Social Media to increase their business. If you’re looking for a new website, or you’d like to upgrade your current website, take a look at our Website Packages here or contact us. We’d love to hear from you. Looking for Social Media? Check out Facebook Business Page Setup, or our Email Marketing Package.